The 2019 RAM 1500 has been fully redesigned this year, bringing a striking new exterior appearance and a plethora of best-in-class and class-exclusive performance features to the mix. Plus, the redesigned RAM 1500 delivers impressive towing capacity specs, as well. 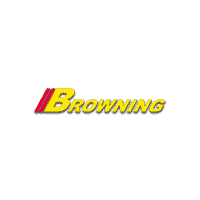 Research these towing capacity numbers here at Browning Dodge in Norco, CA. RAM Truck Comparison Have Any Questions? Trailer Sway Control – This feature can tell when your trailer is swaying from side to side. This feature then stops it by managing engine power and braking force between individual wheels. Integrated Trailer Hitch – Hook your trailer onto the back of your truck quickly and easily with this integrated trailer hitch, complete with 4-/7-pin trailer hitch wiring connectors. Hill Start Assist – If you’ve got a heavy load behind you, Hill Start Assist helps prevent your vehicle from going backwards from a stop on a hill by automatically keeping the brakes applied for a brief moment while you switch your foot from the brake to the accelerator. If you’d like to take a first peek at the all-new RAM 1500 near Chino, we invite you to do so today at Browning DCJR, where we have a vast inventory from which to choose! Follow us for helpful driving tips, like whether it’s a good idea to drive barefoot, and then come by our dealership. We’re open every day, and you can reach us anytime!